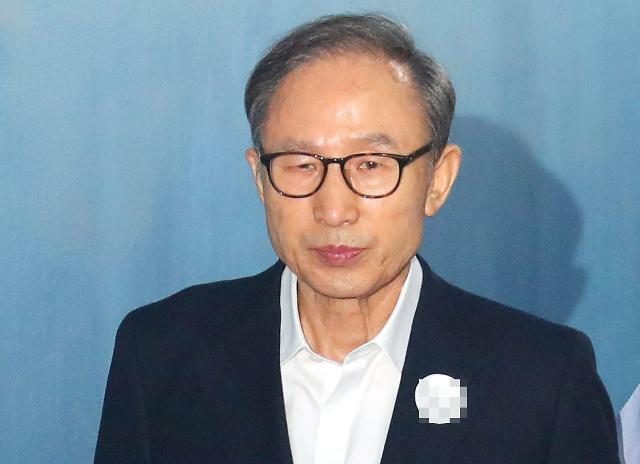 SEOUL -- Lee Myung-bak, a businessman-turned-politician who received a 15-year-jail sentence, became the fourth ex-president to take a humiliating patch in South Korea's turbulent political history that brought a misfortune to former national leaders. Lee, who served as president from 2008 to early 2013, has a unique political background. He joined the construction unit of South Korea's Hyundai group in 1965, became CEO at the age of 35 and left Hyundai to jump into politics in 1992. As Seoul mayor from 2002 to 2006, he restored a 10.9-kilometer-long stream in central Seoul and turned it into a public recreation and tourist spot. At the center of contention is DAS, an auto parts supplier for Hyundai Motor. The court ruled he is the real owner of DAS, embezzled its money to create a slush fund and took bribes from Samsung Electronics and others. Lee has described himself as the innocent victim of carefully-orchestrated political retaliation for the shocking death of his predecessor, Roh Moo-hyun, who threw himself off a mountain cliff in 2009 following a humiliating probe into alleged corruption involving his family. Moon had been Roh's political soul mate and served as his chief presidential aide. Lee, 76, has expressed his hope that he should be the last ex-president to face humiliation since he was arrested in March on corruption, embezzlement and other charges. Rhee Syngman, the first president who ruled from 1948 to 1960, led South Korea through the 1950-53 Korean War. After the war ended, he was reelected but amended the constitution to win his fourth term in office in 1960 in a disputed election that triggered popular protests. He resigned and fled to live in exile in Hawaii. In the midst of social and political turmoil caused by Rhee's resignation, Park Chung-hee, a former army general, staged a military coup to seize power in 1961. In 1972, he declared martial law and recast the constitution into a highly authoritarian document. His dictatorship ended in October 1979 when he was assassinated by his intelligence chief. Park was credited with pioneering South Korea's rapid industrialization. At the same time, he was criticized for the brutal suppression of democracy under his 18-year authoritarian rule. Park's successor, Chun Doo-hwan, took a similar path as an army general and ruled from 1980 to 1988 following a brutal military crackdown on a pro-democracy uprising in the southern city of Gwangju. He was sentenced to death in 1996 for mutiny, treason and other charges. Roh Tae-woo, another former general who led the country for five years from 1988, was arrested and convicted of mutiny and treason for his role in the 1979 coup. 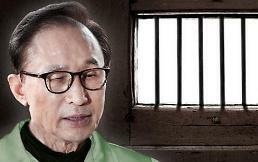 In 1997, the Supreme Court sentenced him to 17 years in jail and have him pay 262.8 billion won in forfeitures. The two former generals were pardoned later. In 2009, Roh Moo-hyun, a liberal leader, committed suicide by jumping from a mountain cliff behind his home following a humiliating probe by prosecutors into alleged corruption involving his family. Under his rule, freedom of speech blossomed, but his poor performance in economy and diplomacy sparked a strong backlash from conservative groups. Park Geun-hye, who took office in early 2013, should stay in jail for a total of 33 years for her role in a massive corruption scandal that revealed deep-rooted collusive ties between businessmen and politicians. 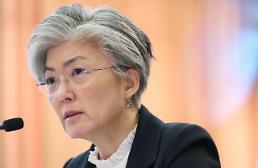 Park, 66, was ousted as South Korea's first female president after the constitutional court upheld her impeachment in March last year at the height of anti-government protests.